The Saint Luis Rey Double Coronas is a bold and tasty medium-full Prominente, 7.6” (178mm) long, of 49 ring gauge, and comes in a 50 cigars cabinet. One of the very hard to find cabinets. A cigar that improves very well with age. We are proud to provide collectors with this rare cabinet that was available within very few hands. A medium-full bodied smoke that tends to change flavor throughout the smoke. 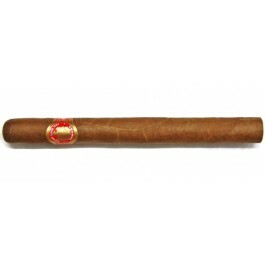 Starting light, the cigar develops more full earthy floral flavors a third in and has a long almost sweet finish.